A great deck will add more value to the home and to what you can do at home. At Decks and Patios of Blaine, we have a team of professionals with years of experience who can help you come up with the best design for your deck while incorporating your ideas. After that, our building team will turn your dreams to reality by constructing the best deck for you and your family. Many benefits come with having a home deck. Listed below are some of the benefits of adding a deck to your home. If you want to host a dinner, a party, or even a barbecue with friends or a birthday party, then a deck is a great place for you because it will help you get the party out of the house. This also gives you more space and a comfortable hanging out area especially when the weather outside is great. Having a deck helps home buyers visualize themselves being in the house. Thus, giving them additional options of what they can do if they owned the house. It also has a high return on investment, which is a great thing to consider, especially if you are planning to sell your house at some point in the future. A deck adds style and an attractive sense to a house. There are so many styles and designs of decks and having a deck can help transform the overall look of the house from a traditional look to a modern look. The varying types of building materials and building styles make this very possible. During the warmer seasons, a deck could be a great place to sit and relax, and it gives the kids an extra play space. A floating or raised deck provides an extra storage place for things that would otherwise be scattered around the yard. 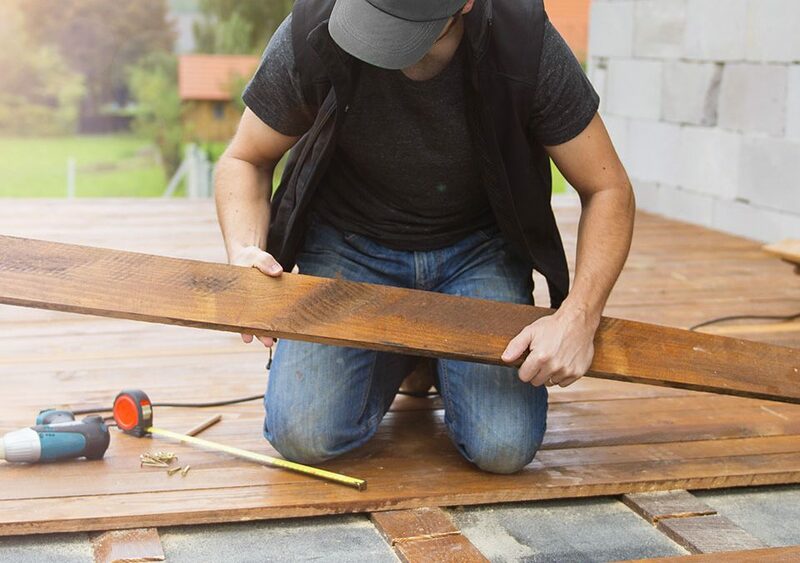 A deck might take at least a week to be completed since it does not require intense procedures unlike when building a sunroom or extra living space. These other options may take more time because of the many procedures and inspection approvals that are required in building them. The materials are very easily obtained. For anyone who is on a strict budget, the deck is a better and less expensive option compared to other additional structures. At Decks and Patios of Blaine, we have a team of professionals willing to pick up your call or answer your emails. We take customer service very seriously and put your satisfaction as our primary concern. Contact us to set an appointment via 763-401-7500 and decksblaine@gmail.com today!